Someday Designs is a design-led online interior and lifestyle store. We are pioneers of modern, minimal living with a beautiful collection of relaxed, understated furniture and homewares. Each item is selected for its timelessness, quality and usability. Beautiful pieces that are equally valued for their functionality and are built around a design that will last. Working as a design collective, we are both collaborators and makers – we support and work with emerging and renowned British and Scandinavian designers as well as crafting our own in-house collections. 2. What were you doing before you set it up? For the last 15 years, I have worked in the design and interiors industry as a retail buyer specialising in furniture and lighting for well-known department stores in the UK. This involved managing a team to deliver new collections every 4–6 months to a nationwide store chain of 180 shops. I was responsible for the department's vision, strategy and oversaw the design process, quality, price architecture and store display. In 2012, I took the opportunity to have a 2-year sabbatical, working in Australia as a retail and design consultant for a number of interior boutiques and brands. 3. When did you realise that you wanted to run your own business, and what led to you achieving it? I've always had the ambition to set up on my own but felt too nervous to take the leap of faith required. I was totally inspired during my sabbatical - working with individuals who had an idea or passion and building this into a business gave me invaluable experience and confidence to do it myself. I was on maternity leave with my son Teddy and was very keen to achieve a better work/life balance as a family and just felt the timing was right. Whilst being a business owner is an all-consuming role, the benefit of being able to work where and when I needed to and have the opportunity to build something of my own was too appealing! I loved it! I began working on the brand concepts and values first. I attended lots of design fairs to build up my collaborator portfolio alongside working on an e-commerce site, which I customised and built myself. From there, I launched the online shop relatively quickly as I was keen to test it and get feedback and insights on how users would interact with it. 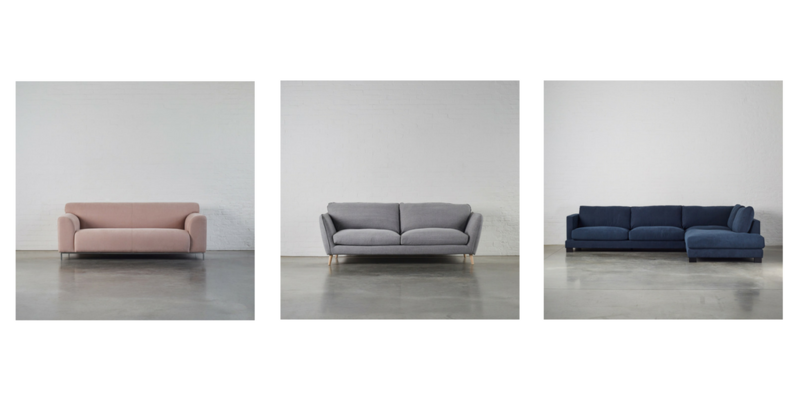 Once the site was established, my focus turned to our in house sofa collection. Then it was a case of photographing the collection, organising all the marketing collateral to launch the business at designjunction during London Design Festival 17. Trying to not overthink everything and accepting that tasks can take longer as you don't have a dedicated team to rely on. Learning to pace yourself and being extremely resourceful is really important. 6. You recently went to No.10 as part of a delegation of female-led businesses. What did you discuss there? Yes, we met with the PM's business advisor Jimmy McLoughlin, to discuss what the government can do to support female business owners to ensure our success. Hot topics included improving maternity allowance for the self-employed, incentivising landlords to let retail spaces to startups, more women investors and visibility of female role models, encouraging businesses to declare their levels of diversity and to be made accountable for gender pay gaps. 7. And what was it like being inside? It’s such an iconic building that to be inside felt quite surreal actually...as if we were on a film set! 8. Do you think the government could do more for female-led businesses? Yes, particularly around maternity pay, mentor schemes and female role models. 9. 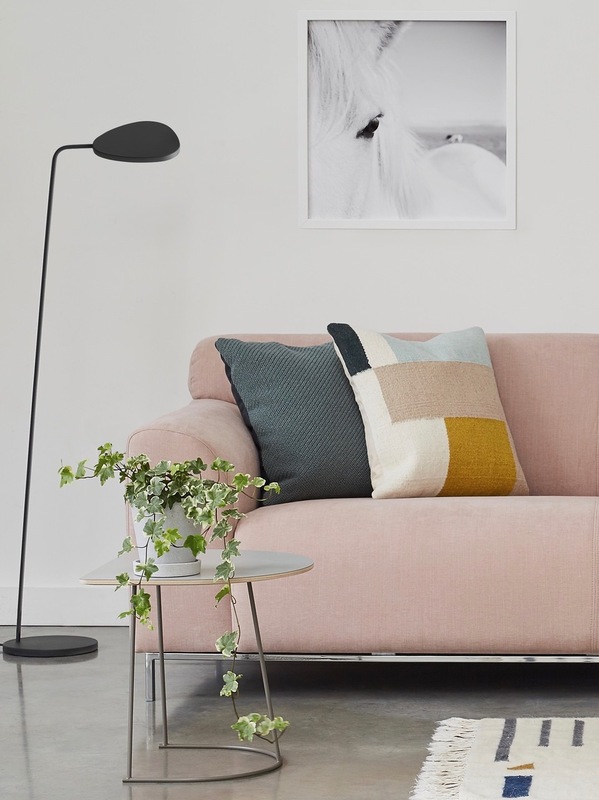 You launched your own designer range of sofas at the London Design Festival last Autumn; how difficult was it to come up with the concepts and to become a producer yourself? There’s a whole design process involved from frame shapes, comfort levels, fabrics and finishes. I’m a visual person, so I love to embrace the design journey! 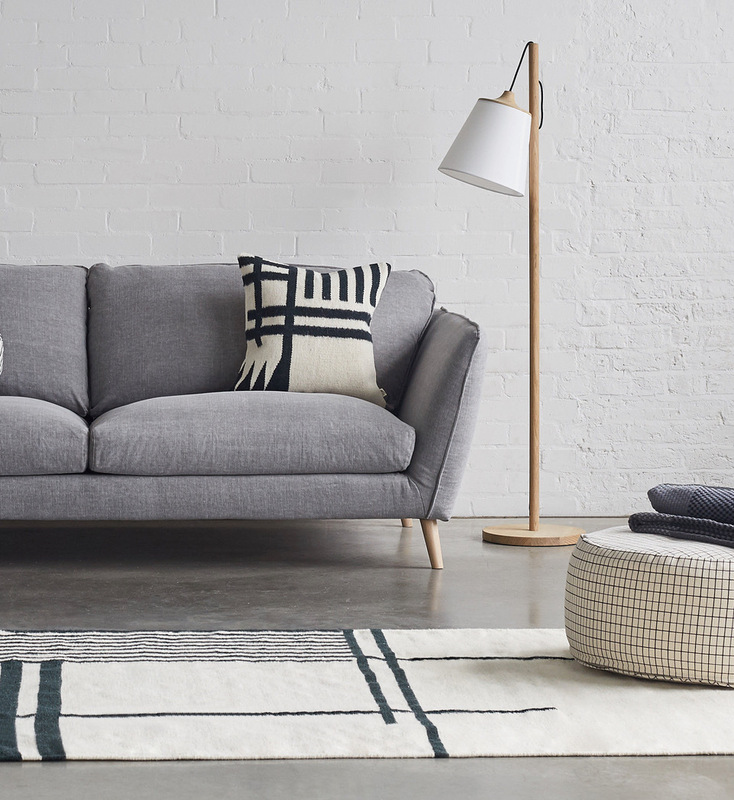 The concept behind the sofa collection is to make shopping for sofas easier. By ensuring every design element is considered and tweaked, we’ve managed to create a simple shoppable edit of shapes and finishes – leaving our customers to select with confidence, knowing we have taken the time to get all the details right. 10. Do popups work? You’ve launched several, haven’t you? What made you choose this route to market and how effective has it been for you? Being online only can be quite isolating, so I love to do popups as it’s much more personal and a great way to meet customers and gain invaluable feedback on the brand. As we are such a new brand, doing a popup is great for brand awareness – so for us, it’s always less about taking sales on the day and more about customer interaction and building relationships. They provide great opportunities for collaborations too. 11. You collaborate a lot with other designers and businesses to produce a wonderfully curated environment for your customers. What makes a great collaboration partner for Someday Designs? We carefully consider everyone we collaborate with. It doesn’t matter whether they are established or new, what’s most important is that they share our design values: a focus on exceptional quality and thoughtful design. We’re creating quite a distinctive, signature design aesthetic, so their pieces must complement and enhance our collection. We love working with brands or designers who are inspiring – it’s great to be able to share their inspiration and stories with our customers. 12. As a working mum, with a very young son, how do you juggle it all? It’s a daily juggling act! I have childcare 3 days a week, so they are my power days where priority projects, orders and meetings are tackled first. I work most evenings when Teddy is in bed and try and squeeze a few hours in around the weekend. You learn to be really productive; and, as I am the sole decision maker, it’s very time efficient – I can decide on a new concept or strategy and test it straight away. I’m also learning to say no to enquiries or projects that are more distracting than beneficial. 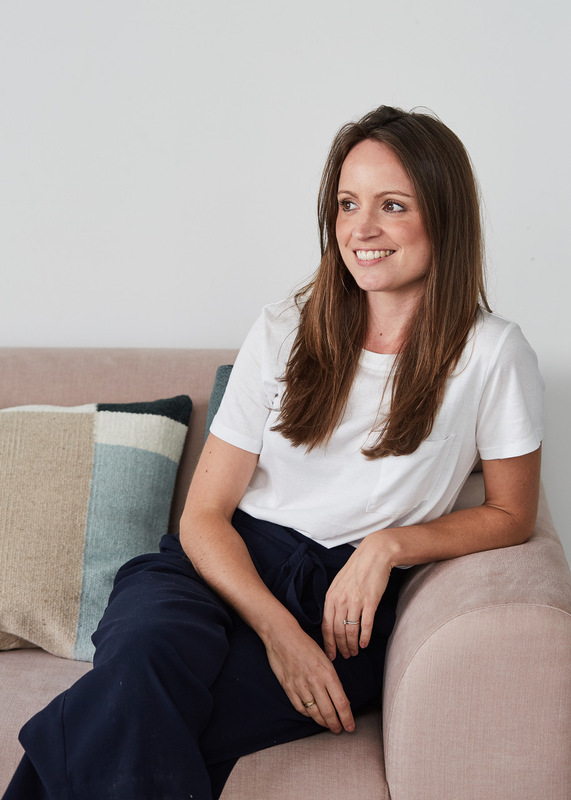 It’s taken a while, but I’ve learnt my time is of high value and instead of saying yes to everything, I need to be more discerning – keeping myself focused on leads that either help to grow my business or create incremental income. 13. What’s the most important piece of legal advice you’ve ever needed? I think it came at the very beginning of setting up the company in terms of how I intended to structure the business – i.e. as a sole trader or limited company. 14. What’s the one legal document you wish you’d had when you were starting out? It would have been really helpful to have ecommerce-specific templates to use as a guide for setting up my terms of trading and refund and exchanges policies on the website. 15. What’s the next piece of legal advice you predict you’ll need? Advice in and around intellectual property and trade marks. 16. Finally, what's your top tip for first-time founders and budding entrepreneurs? Whatever your business idea is, make sure you are passionate about it and know your brand values, but build in flexibility within your model, which allows you to change and adapt as the business grows. Want to read more inspiring startup stories? Join the conversation using the hashtag #MVPtoVIP.